Roland VIP Showcase at Soundcheck studios in Nashville. One day before the kickoff of the recent 2015 Summer NAMM Show, Roland treated the local Nashville music community to a special preview of our latest products. 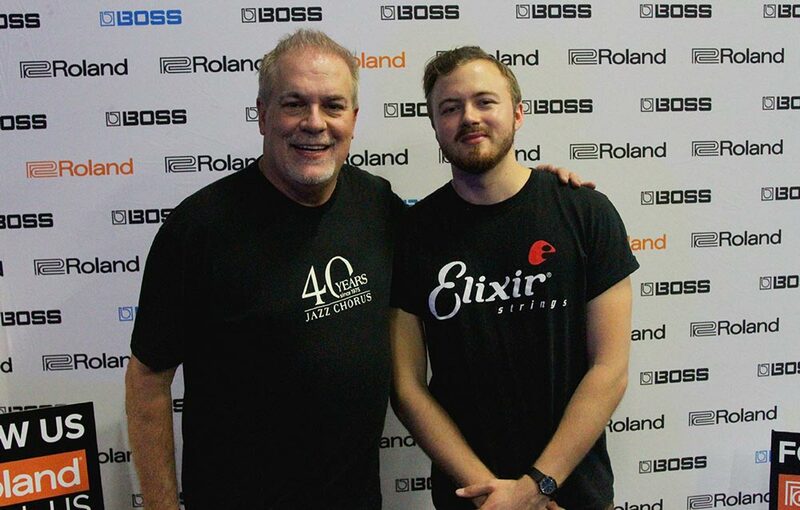 Held at the Soundcheck rehearsal studio complex, this premier VIP event was attended by hundreds in the pro music scene, who were all eager to get up-close looks at the cool new gear from Roland and BOSS. Nashville is well known as a guitar town, and guests were excited to check out just-announced guitar products such as the JC-40 Jazz Chorus amp, DD-500 Digital Delay, and RV-6 Reverb. The SY-300 Guitar Synthesizer was there as well, offering the first opportunity for many players to experience this revolutionary new device, which is just arriving in stores now. 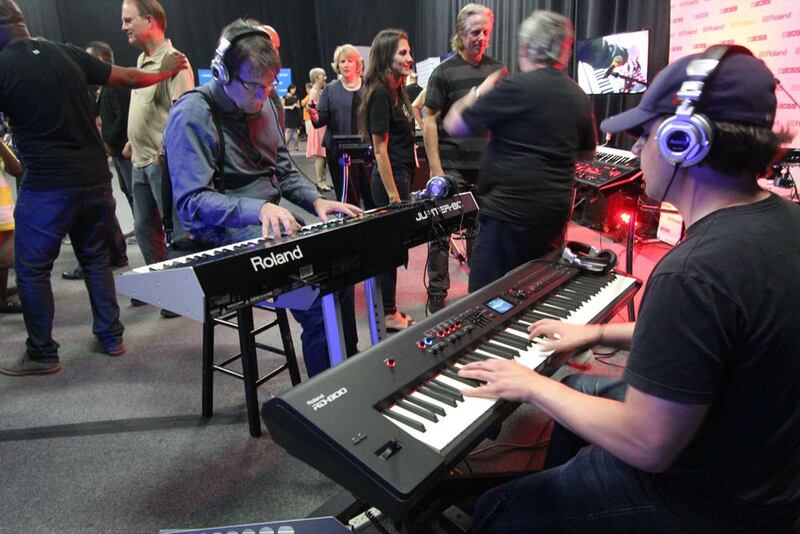 Recently launched keyboard products were also on display, including the JD-XA and JD-Xi Analog/Digital Crossover Synthesizers and RD-800 Stage Piano. Roland’s entire line of AIRA DJ and EDM products were represented too, with the new AIRA Modular Customizer, SH-101 PLUG-OUT and SYSTEM-1 Software Synthesizers, and more set up for hands-on access. Special artist attendees included guitarist Phil Keaggy, Chuck Garric (Alice Cooper Band), bass player Dave Pomeroy (president of the Nashville Musicians Association, AFM Local 257), producer/engineer Michael Wagener (Mötley Crüe, Megadeth, Janet Jackson, Ozzy Osbourne), keyboardist/vocalist Scott Sheriff (Carrie Underwood), and many others. Get the lowdown on all of this great new gear at the Roland and BOSS websites. Guests checking out Roland keyboards at the Nashville VIP Showcase. 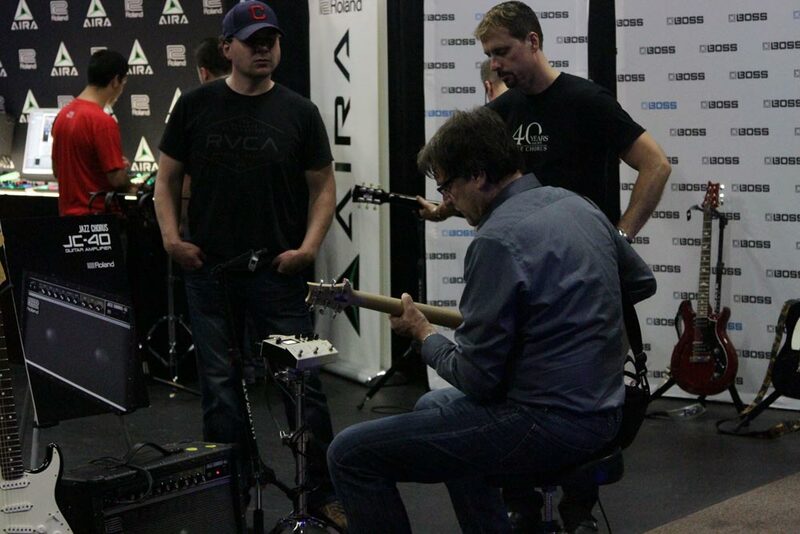 Guest playing the new DD-500 Digital Delay and JC-40 Jazz Chorus at the Nashville VIP Showcase. 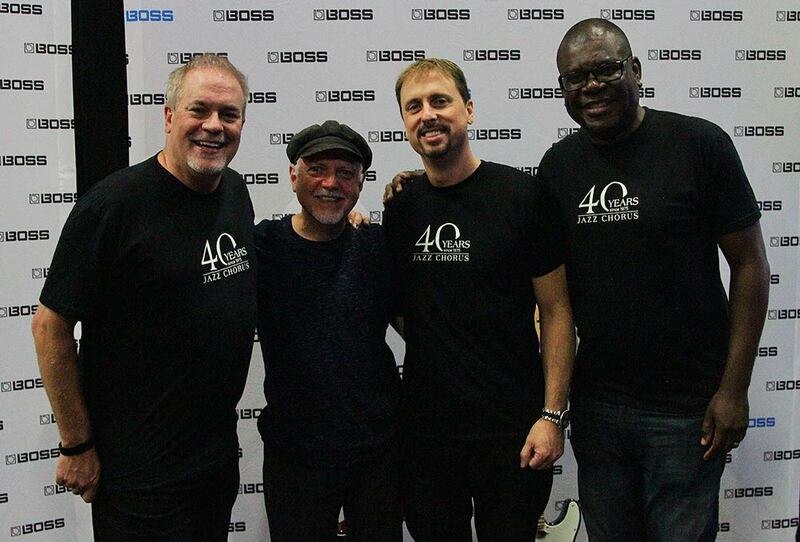 Roland U.S. President and CEO Jay Wanamaker, guitarist Phil Keaggy, Roland/BOSS Guitar Product Manager Gary Lenaire, and Roland Artist Relations Manager Jetro da Silva (left to right). Roland U.S. President and CEO Jay Wanamaker and singer/songwriter/guitarist Joe Robinson (left to right).